Chen Bochui Children's Literature Award : Last Call to Enter your Best Picture Books! LAST CALL Submit your Best Original Titles before 30 September! 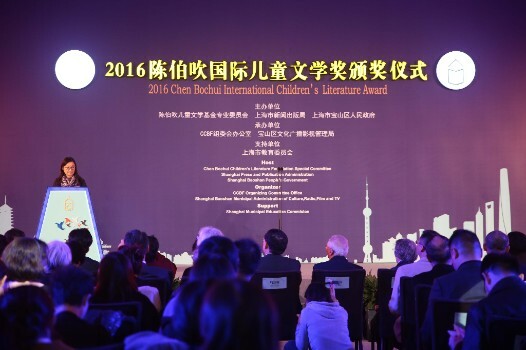 The Chen Bochui International Children’s Literature Award (CICLA) is one the longest-running literary prizes in China. Its origins lay in the heritage of the Shanghainese children’s writer Chen Bochui (1906-1997). Today, the CICLA is a competition judged by an international jury of children’s literature creators, critics and academics, invited to select the most inspiring children’s contents of the year and honour those who have contributed to make books and reading more attractive to the younger ones. The text and pictures of the books entered must be creative and consonant with each other, displaying both literary and artistic value, perfect harmony between content and form, and a pleasing overall visual effect; thus providing a strong stimulus for children’s thought and imagination. Content and form should be suited to readers aged 0–16. Entry to the Chen Bochui Picture Book of the Year Award is open to all publishing com- panies around the world. Authors and illustrators of children’s picture books can also submit their creations directly provided that they have been attributed an ISBN and are duely published. All entries must be original editions of children’s books published and printed for the first time no earlier than 1 January 2016 (as stated on the book’s copyright page). Copyright © 2017 Shanghai Press and Publication Administration, All rights reserved.